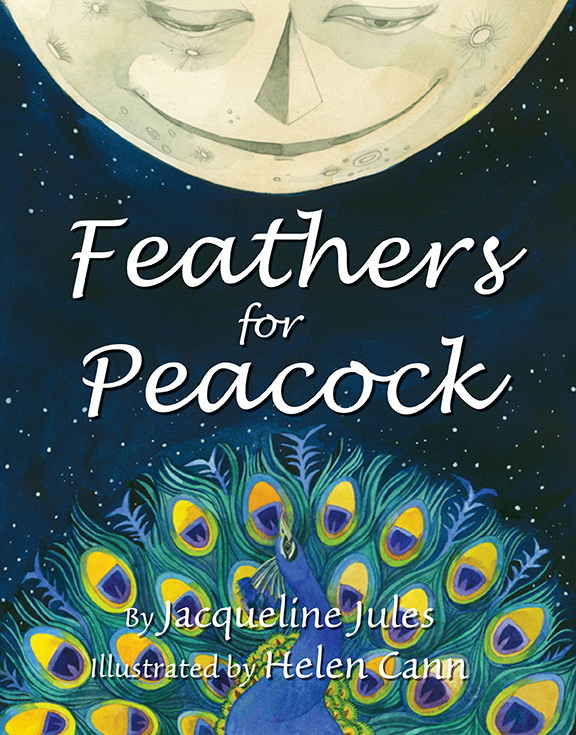 It’s been a long wait but ‘Feathers for Peacock’, written by award winning author and poet Jacqueline Jules for Wisdom Tales, is about to be published! I’ll be so excited to see it on the bookshelves in April of this year. 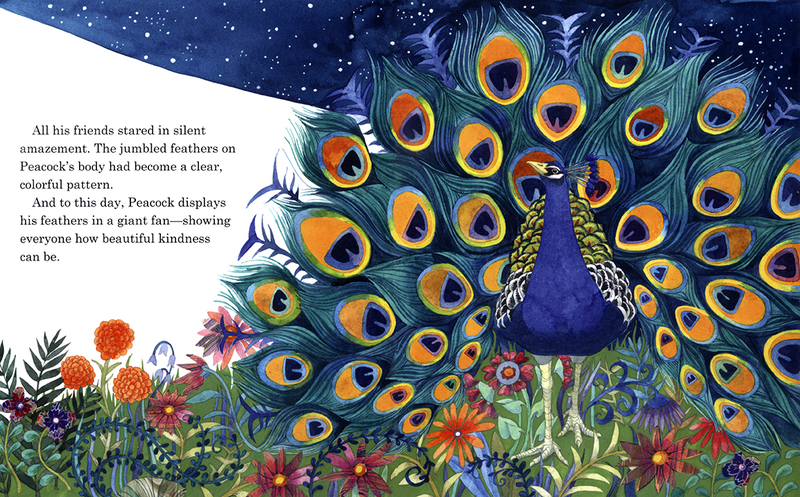 I don’t usually illustrate books for younger children so this was a lovely chance to simply enjoy colour, shapes, decoration and character without having to research too much detail (apart from the birds of course). 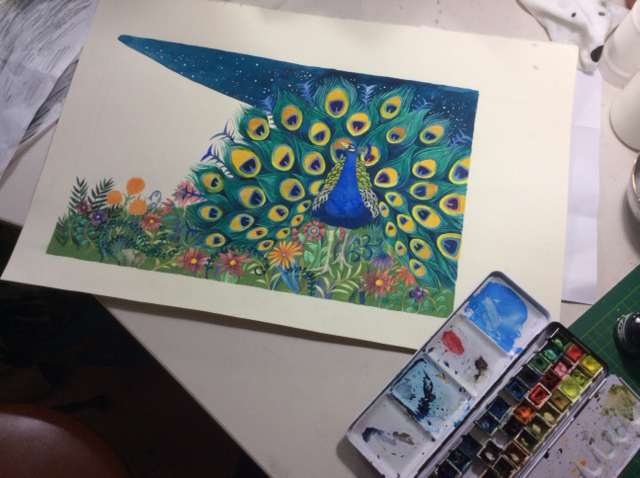 I loved the permission to be exuberant, experimented with gouache (an opaque chalk based watercolour paint) for the first time and used 1970’s flower power wall paper patterns as inspiration for the plants. 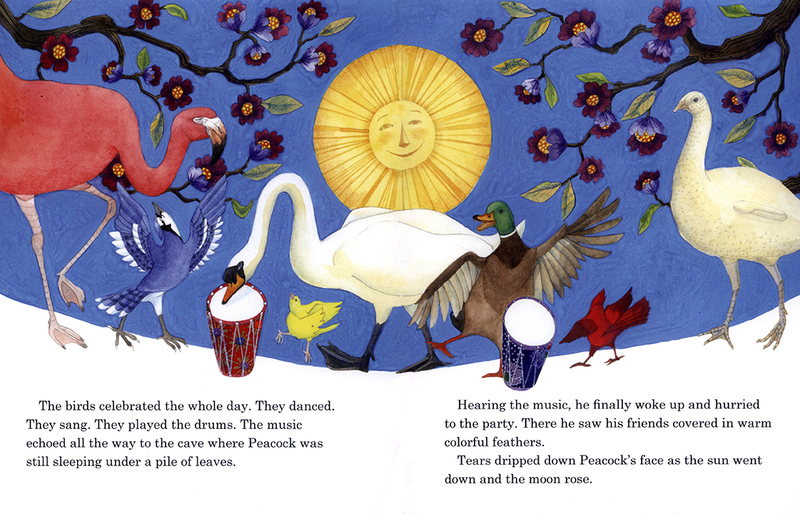 It tells of how the birds learn, with the help of the Springtime moon, to grow feathers and how poor peacock gets left behind (naked!). 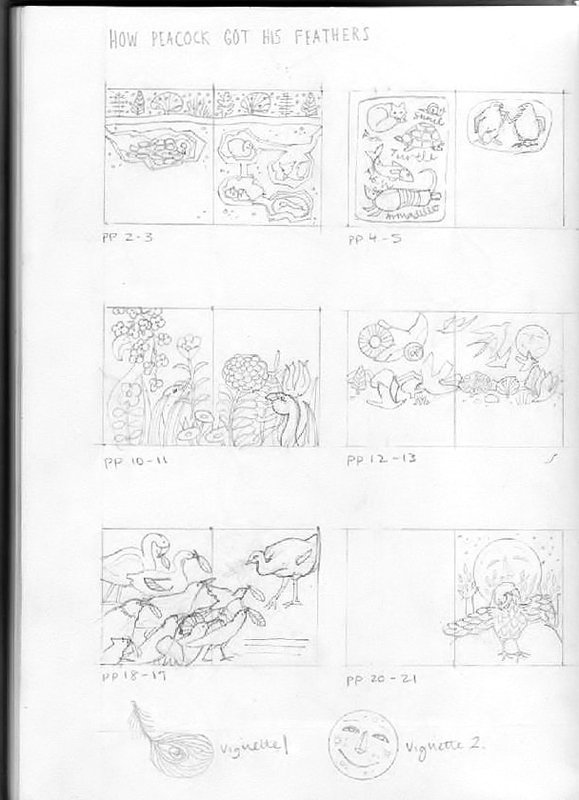 I had free rein in designing the layout of each page – as usual, starting with thumbnail sketches and always taking into account the story arc and pace of the narrative. From here, I went to full size pencil sketches or ‘roughs’. 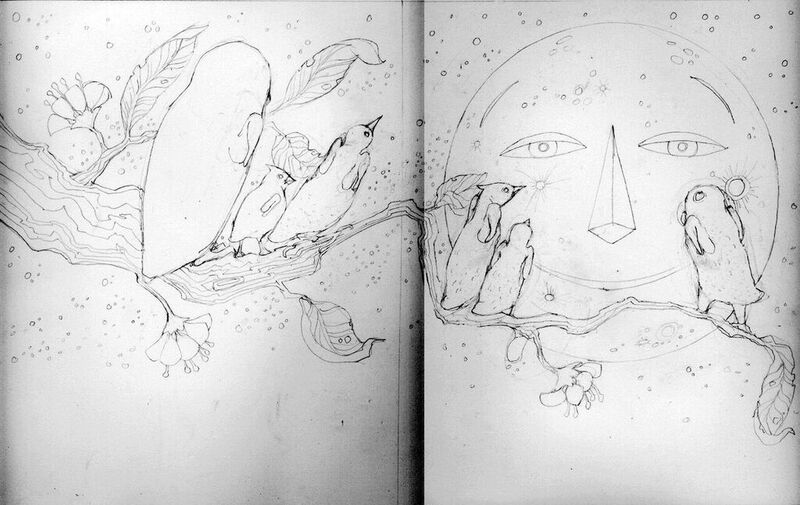 At this point, changes in drawing, character and composition could be made easily. And when acceptance of the sketches was confirmed by the publisher, I hit the colour. It’s always a chance to get messy, with paint and collage paper – of which I have a huge selection from paper bags and wallpaper to decorative origami paper. I found working with Wisdom Tales, an offshoot of Wisdom Press, a real pleasure from start to finish. They even allowed me to choose the Pantone colour for the endpapers (a beautiful peacocky bluegreen) and influence the typeface for the text.